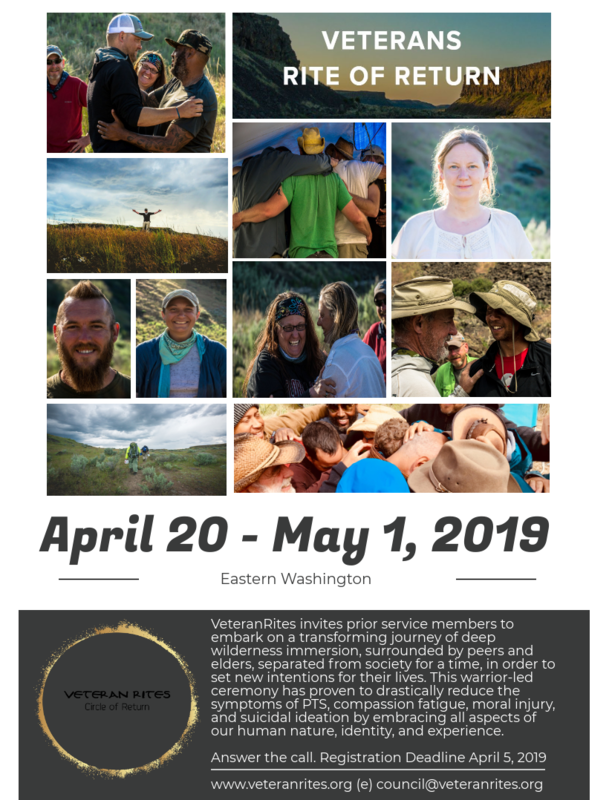 VeteranRites invites prior service members to embark on a transforming journey of deep wilderness immersion, surrounded by peers and elders, separated from society for a time, in order to set new intentions for their lives. This warrior-led ceremony has proven to drastically reduce the symptoms of PTS, compassion fatigue, moral injury, and suicidal ideation by embracing all aspects of our human nature, identity, and experience. There is space for 12 veterans and Gold Star wives for the 2019 Rite of Return but space is filling up fast. Please send an email to Mark Oravsky@veteranrites.org to answer the call!